In an experiment proposal that sounds more like an evil genius’ plan than a reputable science endeavour, CERN’s LHC atom smasher in Geneva, Switzerland will be cranked up to the highest energy levels ever, as scientists hope to detect or create miniature black holes. If successful, scientists hope that the experiment might uncover extra dimensions hidden in our universe. 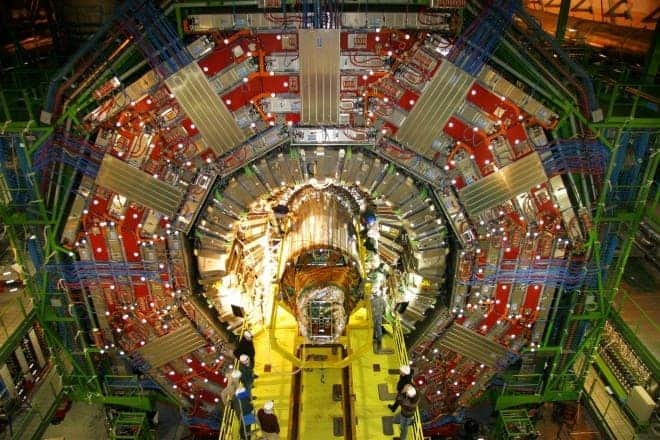 Some of you might remember how in 2008, before the LHC’s power supply was turned on, the end-of-the-world-ers were picking up steam themselves trying to shut the collider down, going as far as filing a lawsuit against CERN with the European Court of Human Rights that argued: “such a scenario would violate the right to life of European citizens and pose a threat to the rule of law.” They were worried that our planet would be consumed by a miniature black hole, inadvertently created by CERN’s researchers. Given the fact that “producing a miniature black hole” is now on the official timetable — presumably right under “Trolling 101” and “Haha” — a lot of people are bound to be worried about the latest CERN experiment. But, Switzerland is still on the map, a testament of the skill with which the collider itself and those that operate it dabble with forces so powerful they could literally break space-time. The LHC is an immensely powerful tool: it allowed scientists to prove the existence of the Higgs boson, the elusive “God particle,” and is now being used to gleam the secrets of dark matter — previously thought to be just an undetectable theoretical possibility. And even with all these achievements under its belt, next week’s experiment is considered to be a game changer. When the LHC is fired up the energy is measured in Tera electron volts – a TeV being 1,000,000,000,000, or one trillion, electron Volts. So far, the search for mini black holes was carried out at energy levels just shy of 5.3 TeV. Recent studies however show that this is much too low, analytical models predicting black hole formation at values of at least 9.5 TeV in six dimensions and 11.9 TeV in ten dimensions.